A Hoot of a Project! Throwback Thursday! 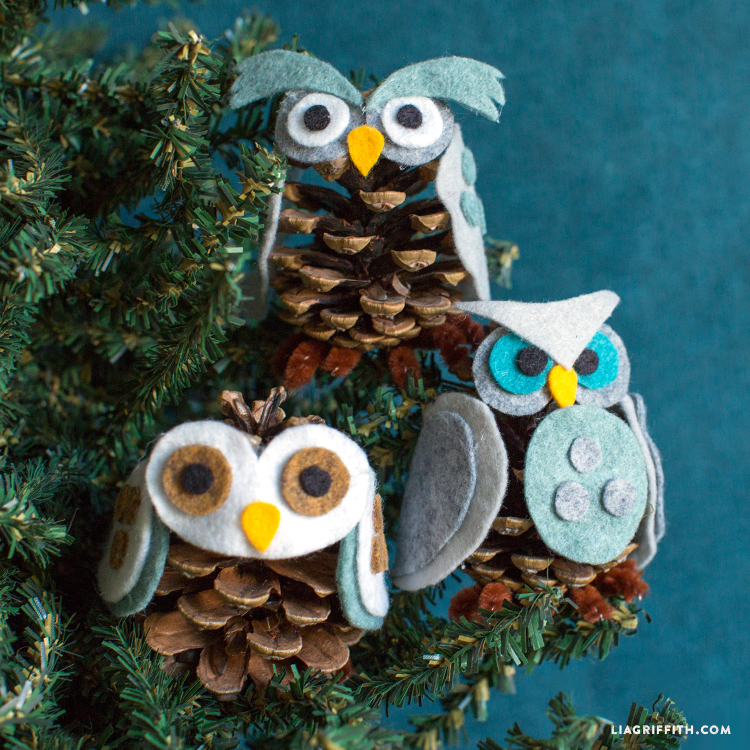 These little pinecone owls are still an all-time favorite amongst our crafting community. We recently created an Instagram video to celebrate their adorableness. So simple and fun to make, we hope this video inspires you to try crafting a few of your own! With the release of the all-new Cricut Maker, we decided to create a set of SVG cut files to accompany this popular project. We hope you enjoy this hoot of a project! Hi, I am having a really difficult time trying to open this file. Any suggestions? I have watched several You tube videos to no avail. Hi Katy! Can you send a message to hello@liagriffith.com with more details about the trouble you’re having? Hey I’m totally new at this – do you keep the paper and stick the cloth on to it? And then stick that on the cone? Hi! No, use the paper as your template to cute the shapes from felt, then dispose of the paper. What size pine cones do you recommend for this?